Traditional Haunted Houses are great, but what would you say if we told you they are closer than they appear? It's new and it's sweeping towns like Massapequa and Centereach – Home Haunts are the great new way to get a good scare within your own community. Traditional haunt methods are incorporated into everyday lifestyles when your neighbors try to give you a good scare. 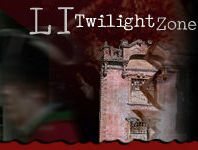 Be prepared for the chills and thrills of a regular haunted house accompanied by a little personal touch. Zombies, delusional clowns, and lots of blood are hidden behind closed doors. Curious to see what else the locals have up their sleeves? You'll have to see and find out.